Eggs, bacon, toast, pancakes – you name it, I make it. But, one of my favorite morning treats to bake is a big ol’ scrumptious muffin. 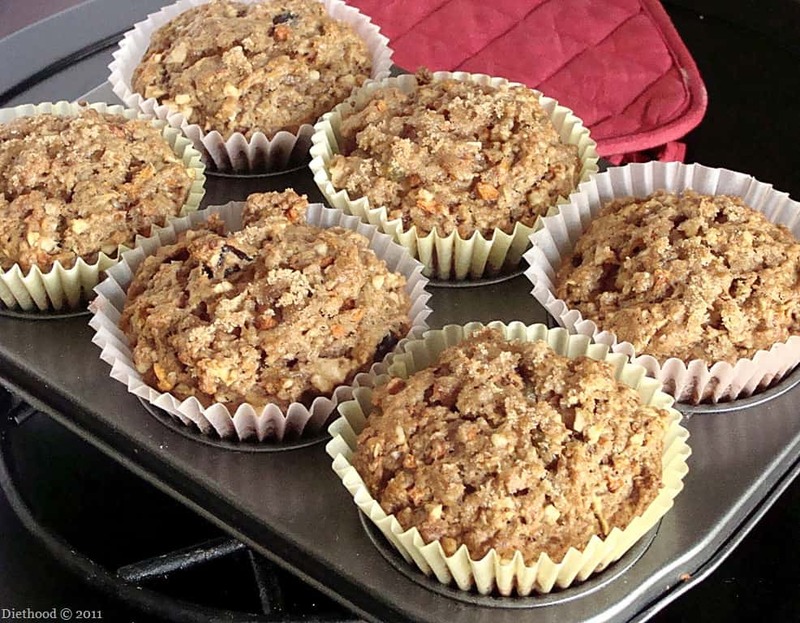 I like muffins because I can get really creative with these little guys; I can add veggies, fruits, nuts, seeds…whatever my heart desires, and I can make them taste pretty darn good, if I do say so myself. These Texas-sized muffins were inspired by a recipe that I came across on the net at Honest Cooking, the online food magazine. What caught my eye was all the tasty goodness that made up this delightful, cakey muffin. Line a muffin tin with 6 “Texas-sized” muffin paper liners. If using cupcake tin, line all 12 with cupcake paper liners. Whisk together the flour, brown sugar, baking soda, spices and salt. Add in the carrots, apple, coconut, nuts, raisins, prunes, and zest; combine. Mix the wet ingredients in a separate bowl: eggs, oil, orange juice and vanilla. Add wet ingredients to the flour mixture and stir until combined. Fill the muffin liners to the top. If using a cupcake tin, fill those all the way up, too. Sprinkle light brown sugar on top of the muffins. Cool in the pan for 5 minutes and then turn them out on a baking rack. YUM! I will be making these this weekend. Happy Mother’s Day to me! Love these. Every time I make muffins I’m disappointed with how small they turn out. When I have guests I want to serve a nice big substantial muffin that could rival my local bakery. These just may fill the bill 😉 Thanks for sharing! Well obviously Texas muffins belong in Texas 🙂 I’ll have to make these very very soon! I adore big muffins. Giant muffins are the best! I love baking a batch on Sunday nights and having them for school all week 🙂 Yours look seriously fantastic! I love it! Texas sized muffins you look Texas sized delicious! my breakfast is always in a hurry but these ginormous muffins sound great. love the addition of the apples. One of these muffins and a cup of coffee and I’m all set! They look just perfect! now thats a muffin for me!! What a great way to start my day and it would go perfect with my 20 oz coffee!! Those giant muffins look so lovely and yes, I am with you about the breakfast! Kate, I would have to agree that you make a pretty darn good muffin! These look amazing and I love the coconut carrot combo. 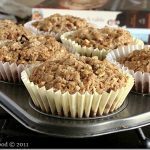 Muffins are like smoothies…you have to be careful what you put into them…but these look to be somewhere between totally good for you and sinfully yummy! Can’t wait to try them. Oh, my, Kate! These look delectable! Since I’ve started experimenting with baking, I haven’t made muffins yet. These look amazing. Must try! I love big breakfasts, and I love big muffins. Thank you so much for sharing with me tonight. I always know I will find something that will make me smile! Your sweet and creative spirit brings me such happiness. I hope you have a great day tomorrow full of hope and love. Holy giant muffins! This would take me right to lunch! looks like a great muffin to me! Wow that is an intense muffin chuck full of goodness. A great start to the day! These look so good and you know how I love muffins! Breakfast is my favorite meal of the day. If I don’t get something in my stomach you don’t want to be around me. 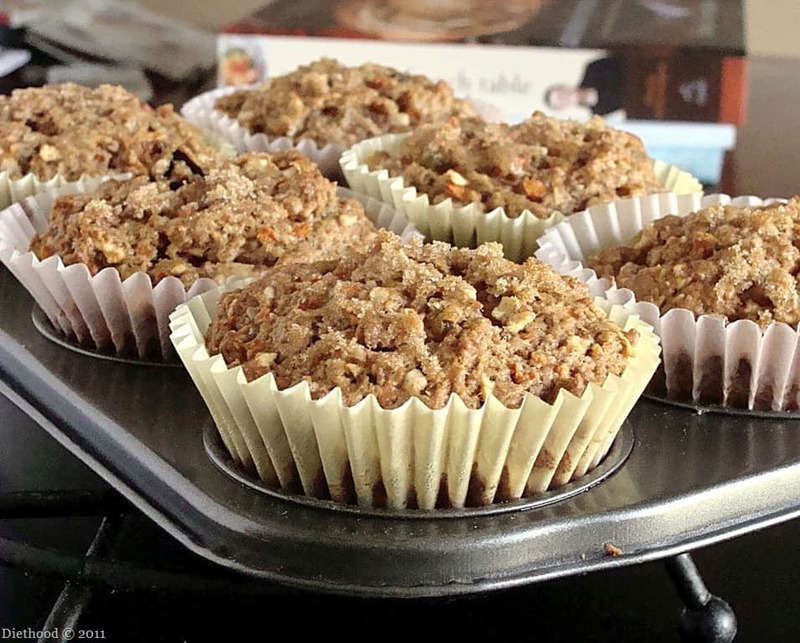 These muffins look like quite the treat. Going to get the recipe now! Yummylicious and I love the size of your scrumptious sweet bites! These are great Cup of coffee, one of these and I am set! Yum! 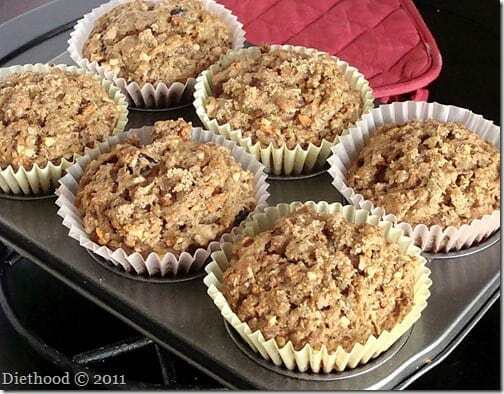 Great muffin recipe, I’m with you I love making muffins. They’re so extremely versatile! Those muffins would make Texas proud, I’m sure. Awesome recipe! This is one of those everything but the kitchen sink muffins, and it looks wonderful. I can only imagine how good these are warm from the oven. I am with the fellow comments above…nothing beats a huge, warm muffin slathered in butter! I love giant muffins! They’re so comforting. Wonderful muffins..I am not much of breakfast eater but could have one of yours with my morning coffee:)) Awesome photos!!! Those are some pretty awesome muffins, my dear! Oh my, how delish. I bet these smelled amazing while baking. I adore huge muffins. These look amazing.